Why I chose handmade carpet as my medium. 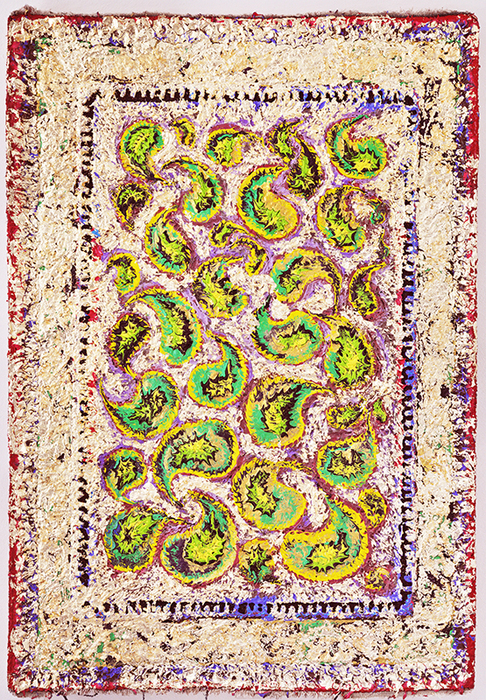 Primarily, the first point that drew my attention to the carpet as my medium was the carelessness of the new generation of Germany and Europe toward the handmade carpets and to use them not as something that is increasingly add value but those will soon be outdated and should be discarded ; the sense of responsibility toward my cultur persuaded me to retain those noteworthy art pieces ! 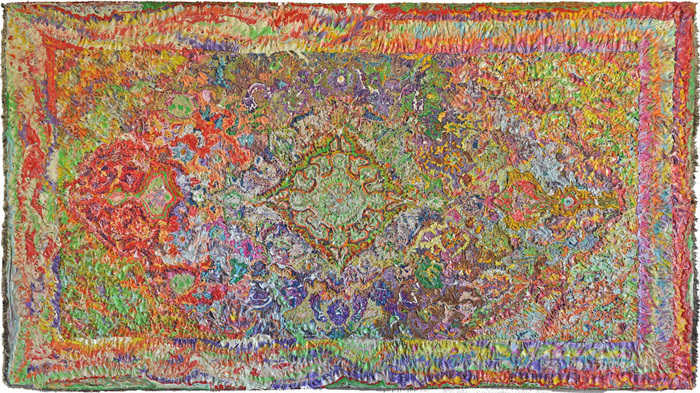 The majority of people in Europe just use carpets as decorative objects and they are not aware of the history, culture and production process which lay behind them despite of the yearly massive volume of imports from Iran, Middle East ,North Africa and South Asia to their countries ,after a while they become the extra things thrown away or indwell somewhere in the basements!!! 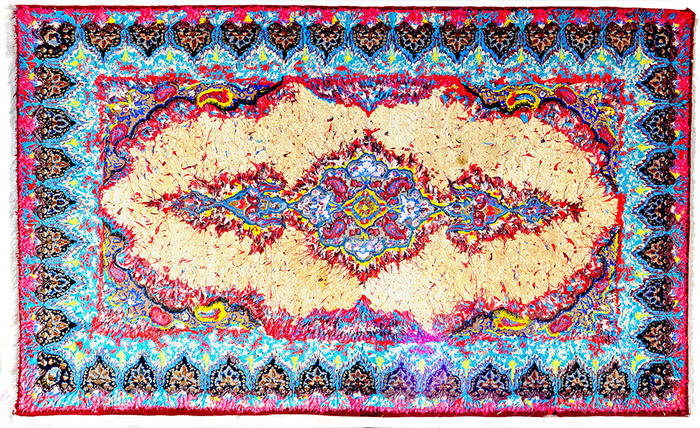 find a new way to revive the persian carpet . The next step was to bring the soul and power of carpet onto the wall and amalgamate those features with the modern or abstract art to appear more alive. I believe the power of painting is hidden in the layers of it where people maynot see but certainly feel . 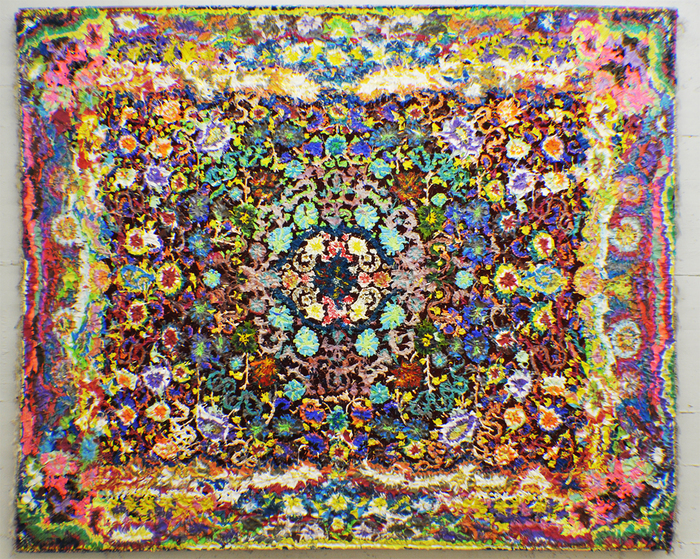 The main principle of my work is to create the bridge between the carpet and the culture behind it with the bystander . In fact , the main mission here is to introduce the real artists all who have considerable and magnificent effort to weave the sinew of carpet but are never seen or known. Buddhist do to embellish the effigy of Buddha to augment spiritual aspect of the work. Each project depends on the size of the carpet lasts from one to three months.